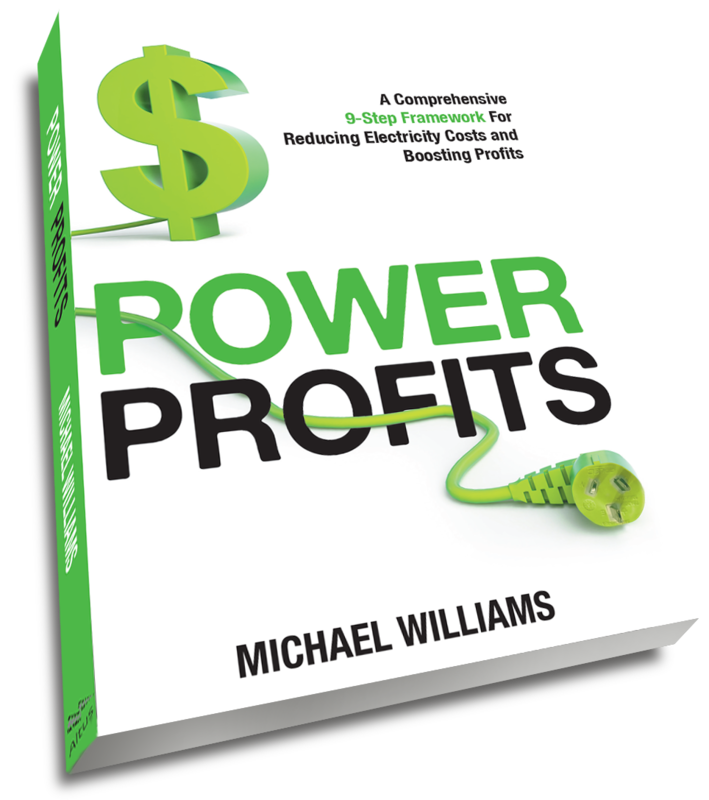 This post is taken from Chapter 3 of my new book Power Profits – A Comprehensive 9-Step Framework For Reducing Electricity costs and Boosting Profits. A framework provides structure, logic, and a sequential process that can be followed by anyone. This 9-Step Electricity Cost Reduction Framework has been used successfully in businesses in which I have had the responsibility for managing the operations, as well as in client businesses where I have assisted in helping reduce electricity costs. It has been developed by combining an operations perspective with knowledge of how the electricity market operates, and by applying quantitative analysis and financial risk techniques. The context for the framework is the Eastern Australian National Electricity Market (NEM), but the principles can be applied in other international electricity jurisdictions and even in Western Australia. The term “energy” is quite broad and can include process fuels such as coal, gas, liquid and biofuels, alternative waste-derived process fuels, and it can include transportation fuels such as petrol and diesel. The scope of this book is confined to electricity, but many of the principles can, and have been, applied to the other components of energy. This chapter provides a brief overview of the framework and the structure of the book. Some readers may already have applied some or many of these steps, but there are even greater opportunities in following the framework and applying all of the steps. 3 Understand the electricity market. 4 Understand your electricity bill. 5 Reduce your network costs. 6 Reduce your energy unit costs. 7 Reduce your electricity consumption and improve efficiency. 9 Monitor, report and continuously improve. It may seem odd but the first step is to develop your strategy. Many businesses that spend tens or hundreds of thousands – or even millions – of dollars on energy each year have no energy cost reduction strategy. It’s important to first identify your own specific energy objective, as that will drive the rest of your strategy and decisions. What time of day, day of week, and month of year is electricity use at its highest and lowest? What is the maximum demand and when does it occur? Which equipment has what load? Which equipment needs to run all of the time? Which equipment does not run at capacity? What is the site power factor? Without knowing these answers you cannot significantly reduce electricity costs. One of the common mistakes in electricity purchasing is not knowing the electricity usage profile of the operation and not understanding the operational flexibilities of the equipment. How are retail prices constructed? What are the historical price patterns? When are prices high and low? What time of day, day of week, and month of year are prices highest and lowest? When is it best to go to the market for pricing offers? To effectively play the game we need to understand the rules, participants, operation and historical price outcomes of the market, in order to understand and manage risk and seek out the opportunities. The electricity bill will consist of energy charges based on time of use, network charges based on maximum demand and energy usage, charges for renewable energy certificates, metering charges, market charges and supply charges. Different states and even different regions within states have different tariff structures, however they have common components. Knowing exactly how these components are charged will allow an end user to monitor and reduce those component charges through load management, equipment selection, retailer selection, metering agent selection, and environmental charges. Network costs can often account for more than 50% of the bill. They are often thought of as fixed charges and so are not closely looked at. However, they are not fixed. There are a range of opportunities to reduce “fixed” network charges by reducing maximum demand charges, load profile management, or even switching to a more appropriate tariff. Most customers buy electricity through vanilla retail supply contracts at fixed prices. These prices are constructed by the retailer based on expected wholesale market prices plus various risk premiums and margins. But it is possible to buy electricity at wholesale prices and not pay the risk premiums. Historical analysis shows the expected risks and rewards of purchasing electricity at wholesale prices. This step identifies those risks, the opportunities, and the risk mitigation tactics of purchasing electricity at wholesale (spot) market prices. It also provides options on hybrid fixed and spot prices. The cheapest electricity is the electricity that you do not use. The historical low cost of electricity drove initial investment in less efficient technology and equipment to reduce capital costs, and has promoted wasteful practices. There are a very wide range of technologies, equipment and practices that can significantly reduce electricity consumption through waste elimination and more energy efficient equipment. This step identifies those opportunities. Many innovative companies are investing in alternative energy sources such as solar generation and waste heat recovery. This is an important element of any energy strategy if a business is serious about reducing electricity spend. This step is often eagerly jumped to in some businesses and completely shunned by others. In this step of the framework we will deal with the business case for alternative energy. Often initiatives to increase electricity efficiency, reduce network charges and reduce unit costs gradually fade away without the business even being aware. It is critical to continuously monitor electricity consumption, demand patterns, power quality and spot price outcomes to ensure savings are both locked in and improved upon.